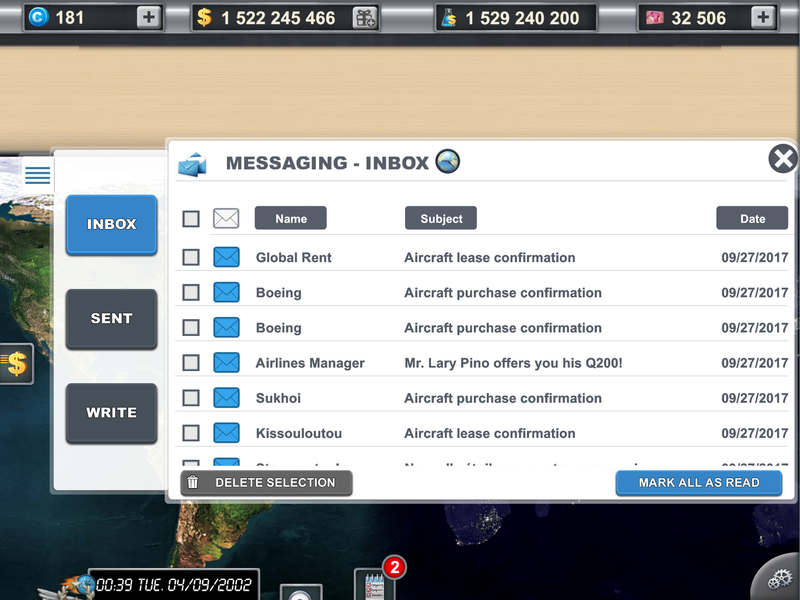 Dear CEOs, we have added a bunch of new features to help you manage your airline in the most efficient way. 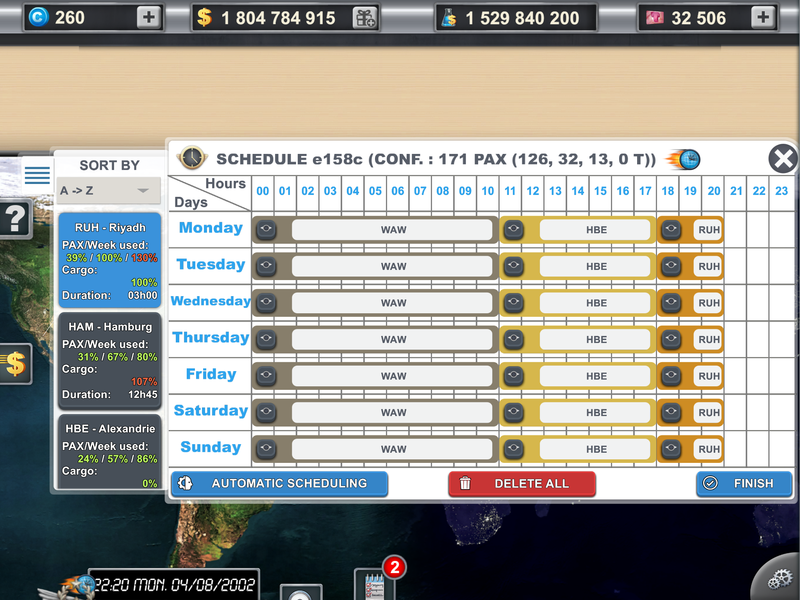 Improve the profitability of your airline with your new schedule management system! Modify the route selection instantly , and evaluate in a blink where demand is not met! Scheduling has never been faster! In the example above, the route BAH => RUH is selected. During this week, only 39% of the demand in Eco is met, while the Business class is perfectly used (100%) whereas the first class has way too much offer! We also see that the route BAH => HBE has a big potential in cargo (0% of the demand is met). Now you can simply tap the button “HBE – Alexandrie” to schedule a flight on this route! 2) Improve the flow of your network and move your planes from one hub to another, instantly, and free of charge! Just go to the aircraft configuration tab, and click on “HUB”! 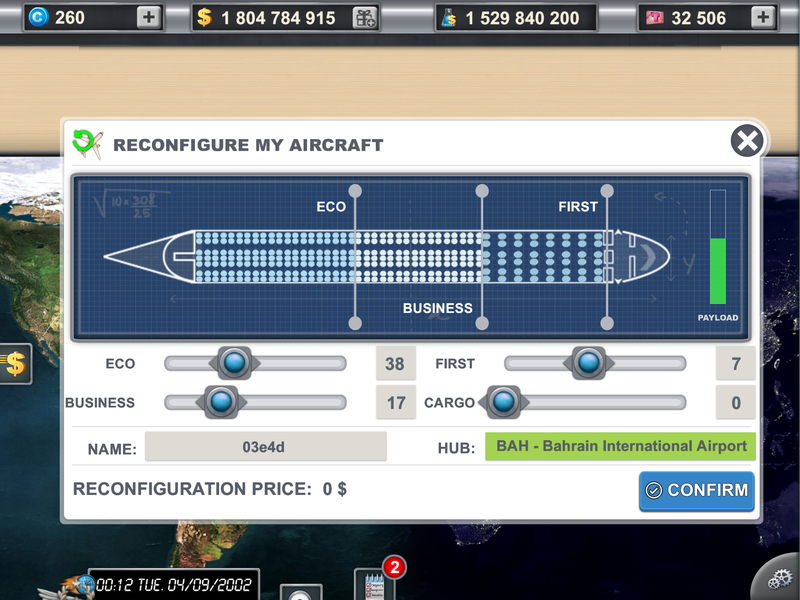 In the example above, BAH airport is about to receive a new plane! Please note that the old schedule will be deleted and that you will have to create a new one. 3) Your mailbox is better organized thanks to your new selection system! You can choose which emails you want to keep, delete, or mark as read. Keep only what matters to you! Notification icon when your staff is on strike: take measures at the right time! New R&D items are available, reducing your maintenance overall costs. The switch between Professional and Tycoon has been improved, it is way faster now: play as you want! 5) Please leave us your comments on the new features and improvements. We are always delighted to hear the suggestions of the CEOs. And of course, see you soon for a version 2.4 full of surprises and enhancements!